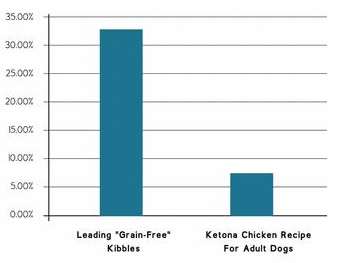 THE PET FOOD INDUSTRY IS JUST A HOUSE OF CARBS. The Carbohydrate Content of a Raw Diet. The Cost and Convenience of a Kibble. Carbohydrates aren't essential nutrients for dogs and cats. But most dry pet food brands rely heavily on these cheap sources of empty calories anyway. What are the benefits or reducing your dog's carbohydrate intake? "I view Lexie as an extension of myself. She's an athlete, always ready for anything. Her health and fitness are of the utmost priority, and that starts with her food. So I fuel her with the best--Ketona." “In veterinary school, nutrition was just a small part of our training. Thank you for bringing attention to the dog food industry through your unbiased research and concern for our pet family." "The most rigorous and probing canine health and nutrition book ever written. Dogs, Dog Food, and Dogma is literally unmatched in its field. I am forever grateful to Daniel for helping my dogs live their best lives."